Blown leads bite the Eagles, who open season with two straight losses to Hope International. Freshman outfielder Sicili Brittingham takes a swing during Biola's doubleheader against Hope International on Feb. 12. The Eagles lost both games to the Royals. 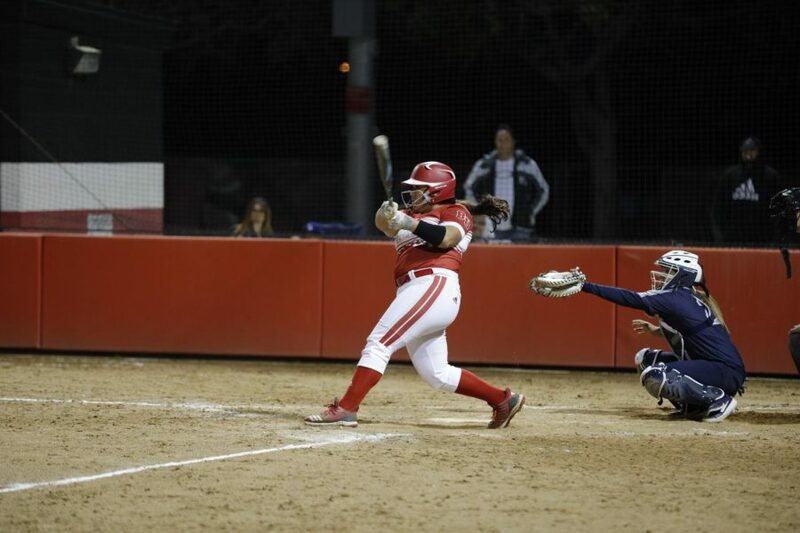 After rain interfered with Biola softball’s first four scheduled games, the Eagles got more than they bargained for in their long-awaited season opener against Hope International University, losing 3-2 in a nine-inning marathon on Tuesday. The Eagles were two outs away from giving Nikki Udria a win in her head coaching debut, but a seventh-inning game-tying double off sophomore pitcher Paige Austin sent the game into extra innings. 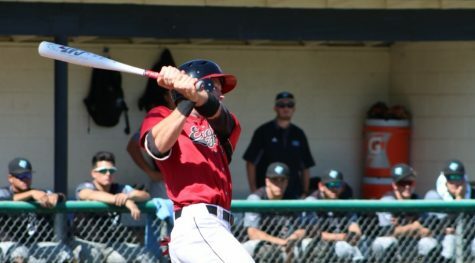 In the second game of the doubleheader, Biola jumped out to a quick lead, but Hope exploded for eight runs in the fourth and two in the fifth to take the win in a 12-10 slugfest. 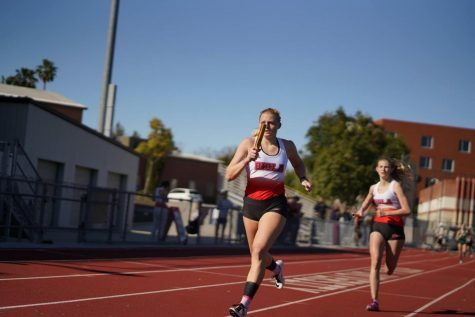 Austin, in her first start as the Eagles’ no. 1 pitcher, gutted through 161 pitches over eight-plus innings in the opener. A lack of run support against HIU ace Taylor Pierce, however, eventually did her in. Austin’s exhaustion showed when she allowed a go-ahead HIU single in the ninth that eventually became the winning run. The Eagles hit the ball in the air early and often, but could not do any damage until junior catcher Kayla Neff launched a solo home run over the center field wall in the bottom of the fourth. The Royals quickly responded in the top of the fifth, tying the score with an RBI base hit from Anessa Cepeda that scored Bree Maikai. Sophomore third baseman Ruth Munoz led off the bottom of the fifth with an infield single, prompting Udria to call for two straight bunts to bring up freshman outfielder Jennifer Morinishi. The move paid off as Morinishi lined a base hit to right field to give the Eagles a 2-1 lead. It remained that way until the top of the seventh when Austin, as her pitch count climbed into the 130s, again fell victim to Maikai and Cepeda, as the former singled then scored on a hit-and-run RBI double from the latter. The Eagles’ best chance to walk off came in the bottom of the eighth when Morinishi led off with a single and reached second on a sacrifice bunt. With Neff up, however, Morinishi was caught stealing third. Neff walked, but freshman outfielder Sicili Brittingham struck out to end the inning. The Eagles again struck first in the nightcap, thanks in part to some timely baserunning. With no outs, bases loaded and a 1-0 lead, senior outfielder Kaile Chavez hit into a force-out at home plate. When HIU’s catcher threw back to first for a double play attempt, however, Munoz ran home on a signal from Udria to catch the Royals sleeping and score a second run. Two more Eagles scored when sophomore second baseman Kylie Velasco laced her second double in as many at-bats, giving Biola a 4-0 lead early. The Royals cut that deficit in half in the top of the third, helped by some rough Eagles defense, but Biola got one back in the bottom of the third on an RBI infield single from Chavez. The wheels came off for junior starting pitcher Paula Damas, however, in the top of the fourth. The first six Royals reached base and four runs came across to give Hope a 6-5 lead. After two strikeouts and a walk to reload the bases, Damas allowed another free pass and a two-RBI single with another run scoring on an error to make the score 10-5 Royals. This finally forced Udria to pull Damas in favor of Chavez, who came in from left field and finally recorded the third out. “Our defense needs to make some plays… We’ve got to do a better job,” Udria said. 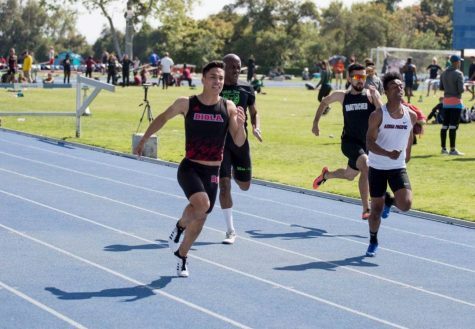 Biola’s bats were not done, though. Senior first baseman Missy Poti laced a two-run double then scored on a Munoz single to bring the Eagles within two, but Chavez grounded out with the tying run at second base to end the threat. 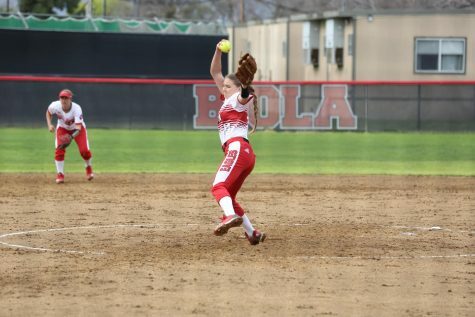 She then gave those two runs right back in the top of the fifth, giving Biola one last chance to get back in the game before it ended early due to time constraints. Velasco continued her hot hitting with a two-run home run to bring the Eagles back within two, but that proved all the offense they could muster, and the night ended with a bitter taste in the home team’s mouths. She proved the high point of her team’s night, however, going 3-4 with two doubles, a homer and 4 RBIs in the nightcap after doubling in the first game as well. Munoz also showed out, going 4-6 with an RBI, a walk and two runs scored over the two games. 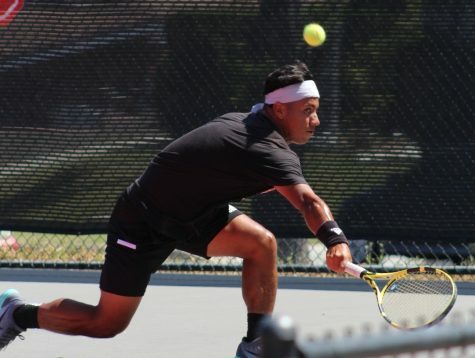 The Eagles will try to recover from their rough start when they head to the 2019 Division II Cactus Classic in Tucson, Arizona on Saturday.